Spring flowers light up every room. 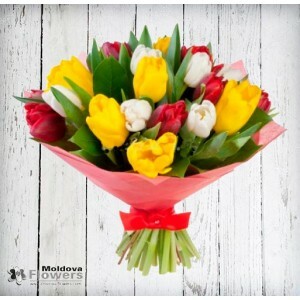 Send one of Chisinau Flowers shop arranged spring flower arrangements to a friend or family member in Moldova to light up their day! 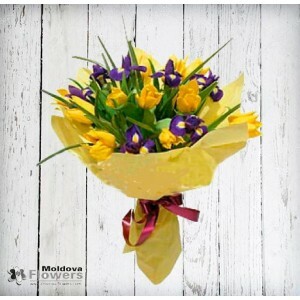 Same day delivery available in Chisinau. 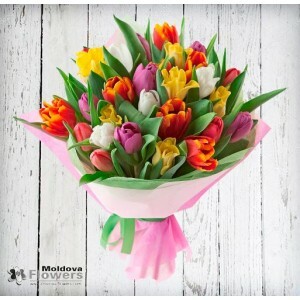 Please note - most of these bouquets available in Moldova only from February to April. 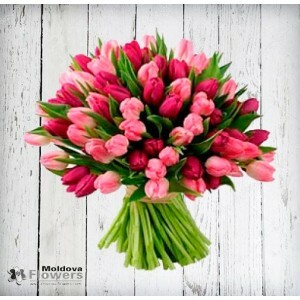 Bouquet of 31 mixed tulips.Chisinau Flowers - the best way to send flowers to Moldova. Try our Molda.. 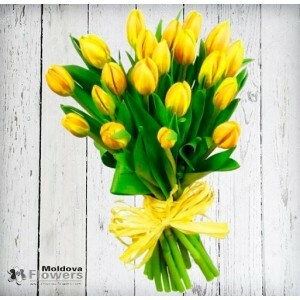 Bouquet of 25 yellow tulips.Chisinau Flowers - the best way to send flowers to Moldova. 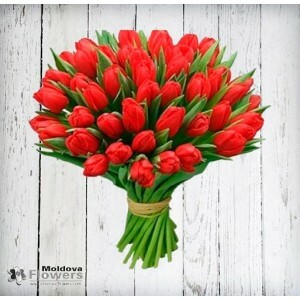 Try our Mold..
Just as romantic, but with a fire all their own, these 11 red tulips are an impressive way to say "I.. 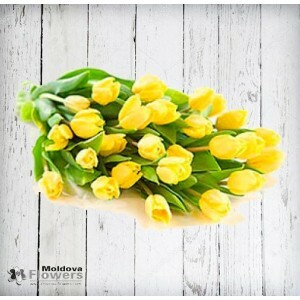 Bouquet Of 21 Yellow Tulips Send these bright yellow tulips just for any to make someone smile toda.. 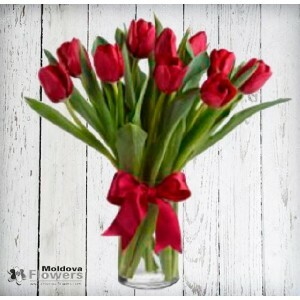 Bouquet Of 51 Red Tulips Red is regarded as a passionate, vibrant and warm colour.Chisinau Flowers .. 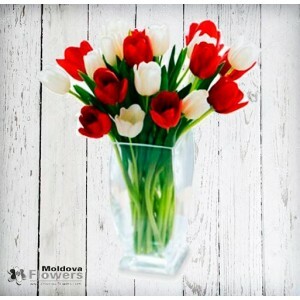 Bouquet Of 19 Red and White Tulips The pure white blooms and the hot red blooms are perfect gift fo..
Yellow Tulip and Iris Bouquet Symbolizing joy, faith and hope this is a well balanced choice to sen.. 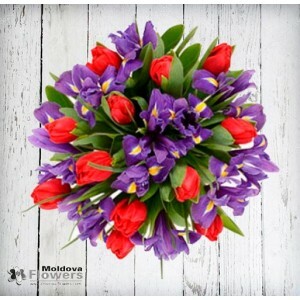 Round Bouquet With Red Tulip and IrisesChisinau Flowers - the best way to send flowers to Moldova. T.. 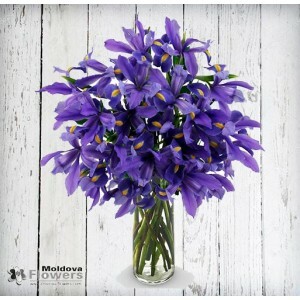 Elegant irises bouquet will delivered fresh, specially designed to create a gorgeous presentation.(V.. 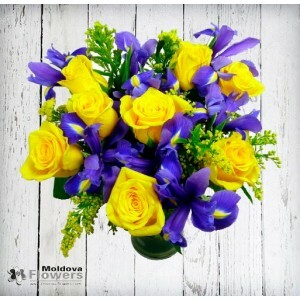 Sunny yellow roses are beautifully arranged with deep purple irises to create a cheerful bouquet wit..